We all know what’s an apple and what is vinegar! But, have you given a thought to what if both apple and vinegr are blended, how would it taste? An unusual combination called Apple cider vinegar (ACV), is unheard by most of us! It’s yet to gain importance in today’s world! Hence, I decided to write what it is and how it is beneficial! ACV is a type of vinegar, made from apple. Unpasteurized organic ACV contains mother of vinegar. Mother of the vinegar is packed with benificial enzymes, pectins and minerals. It is said that the benefits of ACV comes from it’s mother. It is made by crushing apples and squeezing out the liquid. Bacteria and Yeast are added to the liquid to start the alcoholic fermentation process, and the sugars turn into alcohol. In a second fermentation process, the alcohol is converted into vinegar by acetic acid-forming bacteria (acetobacter). Acetic acid and malic acid give vinegar its sour taste. Dosage: one teaspoon of apple cider vinegar mixed with one teaspoon of honey in a glass of warm water 30 minutes before you dine. 3.Brighten skin: Many who suffer from skin problems psoriasis and eczema to dry skin and blemishes, praise apple cider vinegar for reducing inflammation and generally minimizing problems. Tip: Try dabbing it on affected areas with a cotton ball. Aids in weight loss: Apple cider vinegar’s acetic acid has been shown in studiesto suppress the accumulation of body fat and liver lipids. Its pectin content is also considered to slightly reduce your body’s ability to absorb fat. When you have an apple cider vinegar drink before a meal it not only improves digestion, it also reduces your hunger levels which can only be beneficial for losing weight. 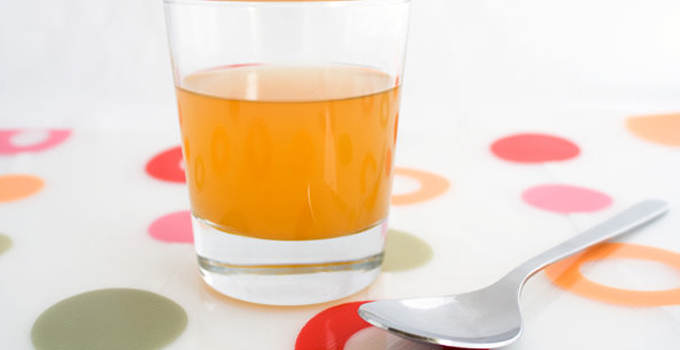 Dosage: 1 tablespoon in a large glass of water before each meal is the recommended dosage. Bad Breath: The natural acids in real apple cider vinegar, like acetic and malic acid, can reduce the bacteria in your mouth that cause bad breath. 6.Detoxification: Apple cider vinegar is a popular ingredient in detoxification of body, specially liver. Dosage: One tablespoon of ACV in a large glass of water before each meal is often recommended as an effective dosage for daily detoxification. Also, you can add ACV to salad dressings, marination, soups and stew! By now, I am sure you have understood the motherly benefits of ACV. Weight loss? really? i am so gonna try it. thank you Ami for sharing this. cheers!